Help selecting CDs and DVDs for your project - a beginners guide to what you need and what's available. The is an overview of discs available for the Lightscribe system, but also a look at what discs are suitable for what uses - e.g. home video, music, data etc. Lightscribe allows home users to create professional labels at no extra cost, so if you want to label home videos, this article covers which discs to use. The "R" means that the DVD can only be written to once. 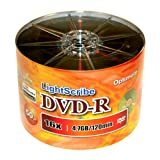 While there are "DVD-RW"and "DVD+RW" which can be written to mulitple times, these are not available for Lightscribe. This is because, having burned an indelible label into the disc's surface, it is assumed you would not want to see the data content changed. It also means that if you create DVDs for members of the family, you know the content cannot be changed or accidentally overwritten, unlike a video or DVD RW. Lightscribe is a system that lets you burn images onto discs to label them, creating a professional apearance easily and cheaply. It only uses discs and drive, so there is no mess and no extra costs. This lens focuses on which disc to use for your project, and what types are available for the system. Why would you use CDs over DVDs when they hold less data? The two C's: Compatibility and Cost. A CD will play in almost anything e.g. If you are a musician and want to make a music CD, a CD will play in most players. DVD's in handheld players often don't. 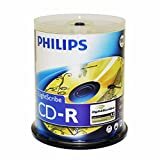 CDs are also cheaper. If you aren't burning a lot of data or video - e.g. if you are putting a PDF magazine or ebook out, it is a lot cheaper to use CDs. It also has the advantage that CDs will play in all players so there are no compatibility issues with the disc itself. Small web-style games, PDFs, ebooks, music, MP3s, the list of uses is quite long. You can also use them to produce Video CDs, although that format is now deprecated and going out of use. Save the Lightscribe discs until you know it works. As Lightscribe DVDs can be burned to only once, it can get costly to test your data burn using them. I prefer to use generic supermarket DVD-RWs for testing whether it runs. That way I can simply re-write them until I am happy with the burn, and have tested it on any players it needs to run on. DVD RWs are slightly slower to burn than DVD R's, so it takes a bit longer, but it saves a lot of wasted discs. Make sure the DVD RW you buy is the same format (+/-) as the Lightscribe DVD for the final product. There is no point testing with a DVD+RW if you are burning a movie to a DVD-R! 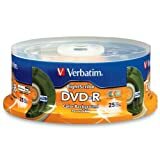 For home video uses, you want to make sure you are using DVD-R. This is the most widely compatible format and will work in most home players as well as PCs. If you are trying to make something that will play everywhere e.g. a wedding video, this is the one you want. 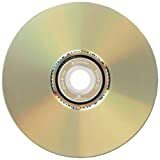 DVD-Rs that are lightscribe-labelled will play in most players, including standalone DVD players, computers through software like windows media player and in console players like PS2 and PS3. The lightscribe doesn't affect the playback. For semi-professionals, like amateur film makers, Lightscribe DVD-R's can give it a more professional appearance - and remove the risk of copyright and credits being lost if the label is damaged. How to see how it will look. While you can't see your label on a disc without using one, you have a few ways to test the look of the Lightscribe label before you burn. Most software will show you a Print Preview for lightscribe. Some software will let you print the finished label onto paper. 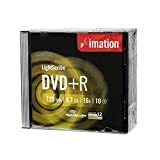 Sadly, while Lightscribe Blu-ray drives exist, the discs don't. 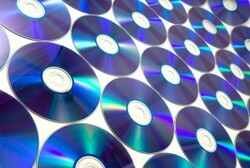 Currently no suppliers are manufacturing blu-ray discs that can be labelled using Lightscribe. However as Blu-Ray is a new format, hopefully this will change in the future. DVD+R has certain advantages over DVD-R. 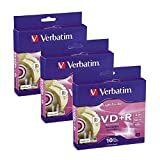 Although less compatible, paricularly with older DVD players making it something to avoid for video use, it is a better format for storing large amounts of data. Discs are not finalised - while you can't change data, you can add more data at any time until the capacity is full. This last one is why you don't want to use it for home videos and memories. With a DVD-R's, once the disc is burned that is it. With a DVD+R more content can be added. This makes DVD+R ideal for storing large amounts of data, eg. images, files, games etc. Lightscribe compatible drives, external and internal and ways to choose what works with your system. It's easy to convert your boxes of slides, 35mm film, and photos to digital images. Learn how you can quickly scan them with the Ion PICS 2 SD photo slide film scanner.